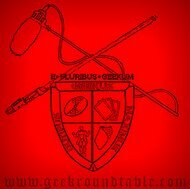 GeekRoundtable's own Ned Cato Jr, has been bestowed with a great honor, being named as an Eisner judge for 2011. The Will Eisner Comic Industry Award, commonly shortened to the Eisner Award, is a prize given for creative achievement in American comic books. It is named in honor of the pioneering writer and artist Will Eisner, who was a regular participant in the award ceremony until his death in 2005. Each category is nominated by a five-member panel, voted on by comic-book professionals, and presented at Comic-Con International held in San Diego, California. Jackie Estrada has been the award administrator since 1990. The judges will meet in San Diego in late March to select the nominees that will be placed on the Eisner Awards ballot. The nominees will then be voted on by professionals in the comic book industry, and the results will be announced in a gala awards ceremony on Friday, July 22 at Comic-Con. Columbia University's Graphic Novels Librarian. Karen began her library's comics and graphic novels collection in 2005. She works extensively with Columbia faculty in a wide range of disciplines to facilitate the use of comics in their courses and has curated a related exhibition, "Comics in the Curriculum." She has also spoken at several campuses around the country, as well as to librarian groups, as an advocate for comics in an academic milieu. Karen writes the "Comic Adventures in Academia" column for ComiXology.com, which examines issues in comics librarianship, and has written about comics cataloging for Publishers Weekly. She is a member of the Board of Trustees for the Museum of Comic and Cartoon Art. Andrew Helfer, who spent over 20 years wearing a variety of editorial hats for DC Comics, editing such titles as Justice League and Batman: Legends of the Dark Knight and writing such titles as The Shadow. He later founded the DC imprint Paradox Press, producing a series of 17 graphic nonfiction "Big Books" on topics as diverse as Urban Legends, Conspiracy Theories, and Scandals. His Paradox Mystery and Fiction imprints introduced readers to both A History of Violence and Road to Perdition, two graphic novels later adapted into successful films. His interest in manga led to encouraging DC to publish the wordless adventures of a tiny dinosaur named Gon. After leaving DC, Andrew continued producing nonfiction comics, writing and editing a series of biographies that included Malcolm X and Ronald Reagan, among others. Currently, he is working on a new fiction comics project while raising (with his beautiful wife Jaimie) their brand new (and equally beautiful) daughter Emilia. Rich Johnson, who has been in just about all aspects of bookselling, from store manager to buyer to publisher. As the first vice president of book trade sales for DC Comics, he took the forefront in establishing graphic novels in the bookstore and library markets. Under his watch, DC Comics achieved its first New York Times Bestseller with Neil Gaiman's Sandman: Endless Nights. Most recently, Johnson served as co-founder and co-publishing director for Yen Press, a graphic novel and manga imprint for Hachette Book Group. He also co-founded Yen Plus a monthly manga anthology magazine. He currently writes a column for the comic book industry website The Beat. He is also founder of Brick Road Media, LLC, a publishing consulting and packaging firm. He is the author of the graphic memoir My Father's Eyes. Chris Powell, the General Manager & CRO of Lone Star Comics/mycomicshop.com. He has been with Lone Star since 1990, holding positions ranging from sales to executive management. Chris was a founding board member of ComicsPRO, the Direct Market comic retailers' organization, serves on the board of moderators for the Game Pro Symposium and the Advisory Board for the Game Store Resource Forum, and is a past president and current board member of the Comic Book Legal Defense Fund. The Eisner Awards are presented under the auspices of Comic-Con International: San Diego, a nonprofit educational organization dedicated to creating awareness of and appreciation for comics and related popular artforms. primarily through the presentation of conventions and events that celebrate the historic and ongoing contributions of comics to art and culture. Eisner Awards administrator Jackie Estrada can be reached at Jackie@comic-con.org.